At the Galaxy event today, Samsung unveiled two new smartphones in its A-series. 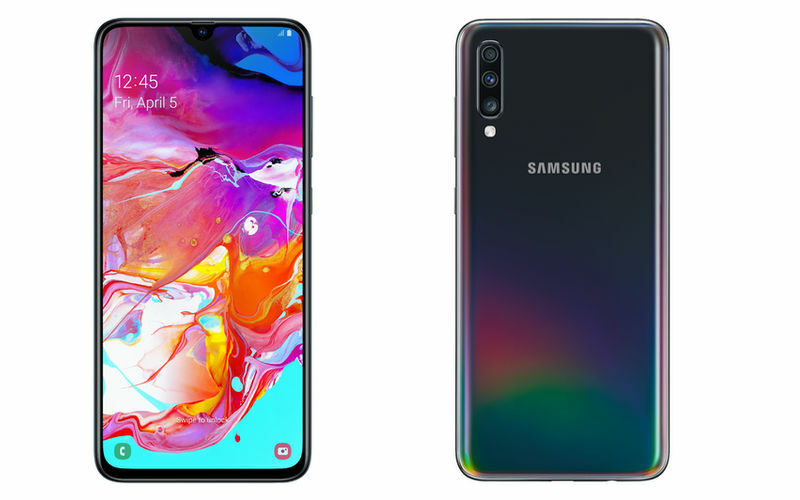 The Galaxy A80 made the debut with “Era of Live” design conception, and this is the first phone from Samsung to have a sliding design. Samsung finally jumped on the trend bandwagon already boarded by brands like OPPO, Xiaomi, and Vivo. Samsung has also launched two more phones in the series i.e. 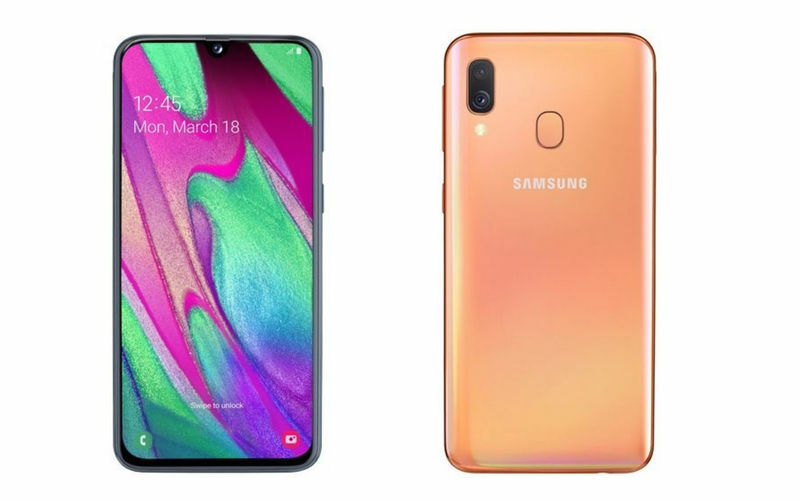 Galaxy A70 and Galaxy A40. Unfortunately, Samsung did not disclose the pricing of the Galaxy A80. 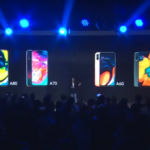 It did reveal that the Galaxy A80 will launch in Angel Gold, Ghost White, and Phantom Black color variants with pearlescent effects on two models. Launch timeline for India has also not been revealed by Samsung, but we should get to know more in the coming weeks. 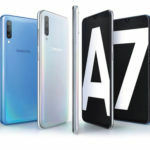 The Galaxy A70 will be available in Black, Blue, Coral, and White color variants. 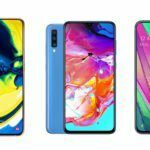 Samsung launched the Galaxy A40 two weeks back in the Netherlands. It is priced at €249 (approx INR 19,490). It comes in Black, Blue, Coral, and White color options. 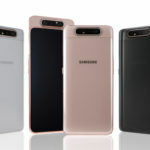 The major highlight on the Samsung Galaxy A80 is its rotating camera design – that doubles up as both front and rear camera setup. The cameras integrated into the slider rotate depending on the requirement for rear or front camera. This design offers complete screen real estate without a notch. The Galaxy A80 has a 6.7-inch full-HD+ Super AMOLED ‘New Infinity Display’ with a 20:9 aspect ratio. Qualcomm’s latest Snapdragon 730G SoC powers the smartphone with 8GB of RAM and 128GB of non-expandable internal storage. The phone boasts an In-display fingerprint sensor. 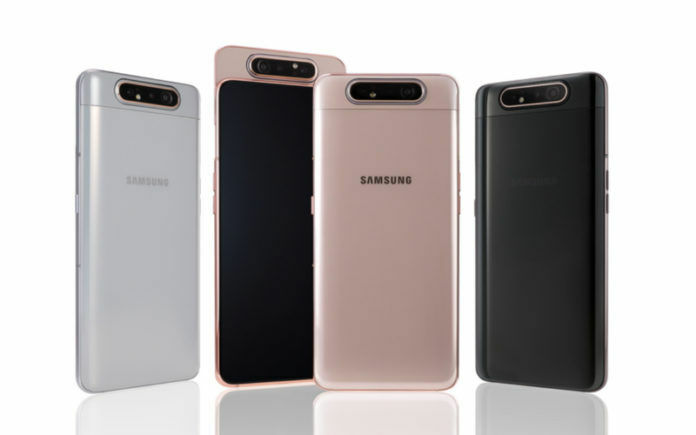 On the software front, the Galaxy A80 runs Android 9.0 Pie-based One UI with Samsung exclusive features such as Samsung Pay, Samsung Health, Samsung Knox, and Bixby. The rotating camera on the Galaxy A80 is integrated with 48MP+8MP+3D Depth triple camera setup. The primary sensor has an f/2.0 aperture while the second sensor is an ultra wide-angle lens. A 3D depth sensor completes the setup. The rotating mechanism quickly rotates the triple camera setup to the front as soon as the user select front camera mode. The camera setup also supports features such as Steady video mode, Scene Optimizer offering up to 30 scenes detection, and Flaw Detection. A 3,700mAh battery with 25W Super-Fast Charging support backs the Galaxy A80. 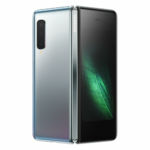 The Samsung Galaxy A70 comes with a 6.7-inch Full HD+ Super AMOLED display with a waterdrop notch called Infinity-U Display. 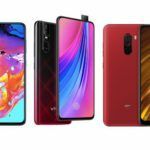 A 2GHz octa-core Qualcomm Snapdragon 675 processor powers the phone with 6GB/8GB of RAM and 128GB of internal storage that can be further expanded up to 512GB via microSD card. The phone runs Android 9 Pie-based One UI. In the imaging department, the Galaxy A70 has a 32MP+8MP+5MP triple camera setup with LED flash. There is a 32MP camera on the front. The Galaxy A70 also has an In-display fingerprint sensor. A 4,500mAh battery with 25W Super FastCharging backs the Galaxy A70. The front camera also supports face unlock functionality. 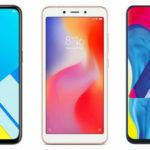 The Samsung Galaxy A40 smartphone packs a 5.9-inch Super AMOLED Infinity-U display with Full HD+ resolution. An Exynos 7885 octa-core (Dual 1.8GHz + Hexa 1.6 GHz) processor powers the phones with 4GB of RAM and 64GB of internal storage. It has 16MP+5MP dual rear camera setup, wherein the second lens is an ultra-wide lens. There is a 25MP selfie camera on the front. A 3,100mAh battery completes the device. 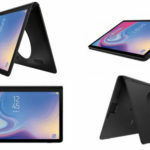 The Galaxy A40 runs Android 9 Pie-based OneUI.